One size fits all. Specially designed for hammocks. Enjoy the comfort of your hammock indoors or outdoors free from mosquitoes or bugs. Light, pretty and very effective. Avoid buttons, jewelry, shoes, watches or any other object that might grab or cut cords. Nevertheless cut, broken or burned cords can be repaired by knotting the ends. Hammocks made of nylon and cotton cords and special orders for sisal, sansiviera, hemp and polyester cords. Nylon needs the same proper care as cotton. We also suggest wearing appropriate clothing while you are resting in your hammock. Avoid buttons, jewelry, shoes, watches or any other object that might grab or cut cords. Nevertheless cut, broken or burned cords can be repaired by knotting the ends.One size fits all. Specially designed for hammocks. 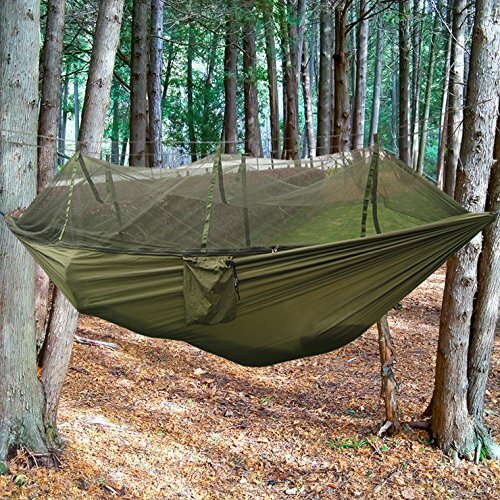 Enjoy the comfort of your hammock indoors or outdoors free from mosquitoes or bugs. Light, pretty and very effective.